Urs’ comment: This book claims a lot, and delivers little. There are several good tips in this book, but overall I simply don’t like it. I don’t like the “tone” it is written in. 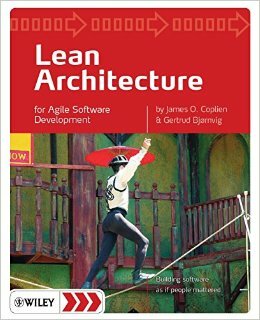 There are only few books about Agile and Lean software architecture, therefore I cannot really give a better alternative covering the same topic. Ultimately, that means you have to read it in case you are in any kind responsible for the architecture in an Lean/Agile set-up.